After one semester, Griffin Grounds is now expanding their selection size to include custom made coffee mugs, and a signature blend. Special Education Paraprofessional Larry Magariel, who works in the coffee shop alongside students, hopes that the new blend along with the mugs will attract more students and spread the word about the shop. 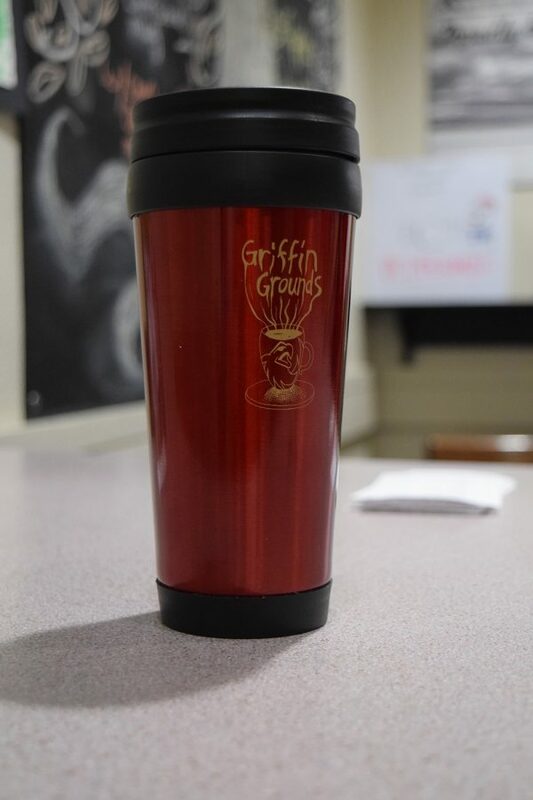 The new Griffin Grounds mugs created by the Art Club are now available. In order to target those students tastes in coffee, Mageriel recently went to the Roasterie, an area coffee manufacturer, to taste-test and create a signature ‘Griffin Blend’ for Griffin Grounds. The new blend was released on Tuesday, Jan 17. Students can also purchase new custom designed mugs to put their coffee in. The 14 oz. mugs cost $10 and comes with one free refill. The mugs are available in red and silver and are dishwasher safe.